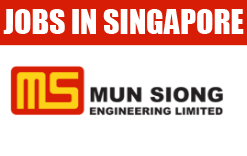 One of Singapore’s leading integrated service providers since 1969, Mun Siong Engineering Limited offers a range of mechanical and electrical & instrumentation services for the oil & gas, petrochemical, energy, chemicals, and power industries. As a one-stop solution provider, the Mun Siong Group caters for engineering, procurement, fabrication, construction, and maintenance of plants and equipment. The Group also provides a host of specialised products and service solutions, such as hydrojetting, grit blasting, protective coatings, retubing, mechanical decoking, rotating equipment services, scaffolding – insulation – painting (SIP), and many more. We are in the forefront when it comes to maintenance works and turnkey projects, successfully completing numerous green and brownfield projects, turnarounds and de-bottlenecking projects.